Profiles is a collection of 20 pieces created by Cuban artist Lázaro Niebla over the past decade, on view for the first time in the United States. To enhance the audience's experience with and understanding of Lázaro’s artwork, ephemeral objects collected by the artist, video interviews with subjects from the artwork, a sound installation by the Touch of Sound, a replication of a Trinidad de Cuba street market and an installation representing a traditional Trinidad street have been included in the exhibit. 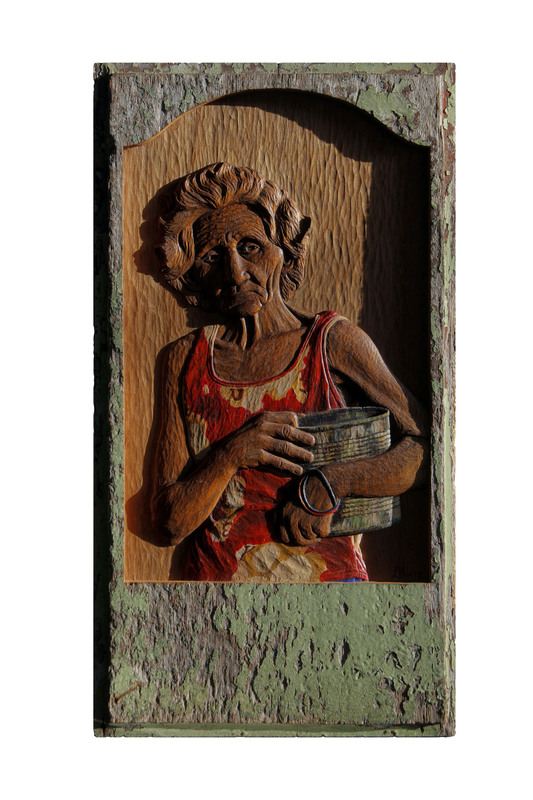 Niebla, a life long resident of Trinidad de Cuba, documents the connection to the past through woodcut portraits of those that understand the traditions best: the elders. His process begins by collecting discarded colonial window panels that were used to protect the homes in Trinidad de Cuba during the Spanish colonization. He then photographs his subjects, capturing them in a spontaneous moment. Working off of his photograph, Lázaro meticulously carves layer after layer of wood from the repurposed panel, exposing the perfectly preserved wood under the surface. 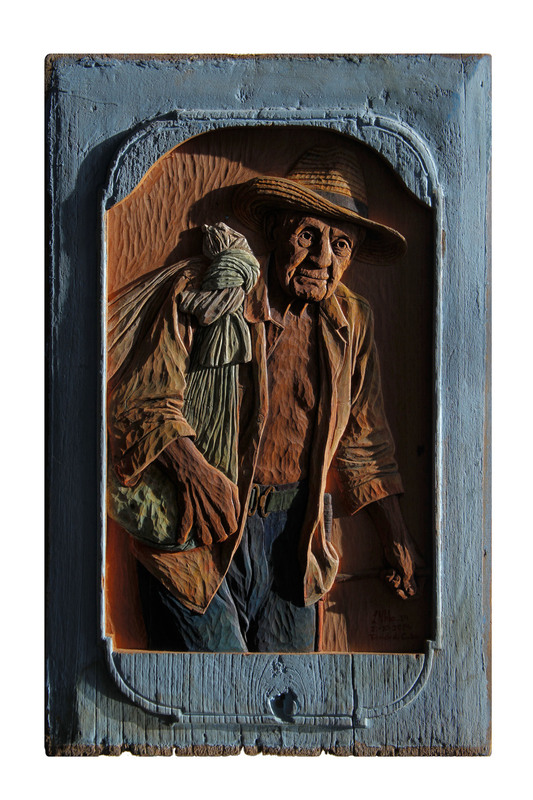 Using acrylic paint, Lázaro adds touches of color to the piece, choosing to leave the skin of the subject wood tone -- connecting the person he has chosen to portray to the material that he has chosen to work with. The life of the tree, the life of the window shutter, the life inside the home it protected, the life of the subject portrayed, and the life of the artist are all represented in each piece of art.